Send A Message To Dr. Saunders. Session Fees: Sessions are $225.00 each. This fee is covered by most extended health plans and/or employee assistance/benefit programs. 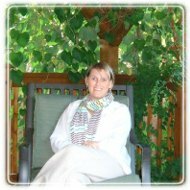 My name is Dr. Angela Saunders and I am a Registered Psychologist within the province of Ontario. I work in the areas of Clinical, Counselling and Rehabilitation psychology. I have been working in the field of mental health for over 20 years and have had professional roles that range from being a front line worker in group home/custody facilities to working with families, couples and individuals in preventative, supportive, crisis and therapeutic settings. These roles have allowed me to develop an approach to working that draws upon the strengths of cognitive, behavioural, relational, attachment and trauma informed therapies. Working together may involve understanding how your past is impacting your relationships/parenting today, or it may focus on developing ways of dealing with and working through issues in your daily life. I am licensed to work with children, adolescents, families, couples and adults and work across a range of theoretical orientations, drawing upon the modality and framework that best suits a client’s needs. I have worked extensively with trauma (including military and para-military), depression, anxiety, self harm, addiction, relational, attachment and a range of other issues. My focus will be on understanding your unique circumstance, and helping you to increase your or your child’s capacity to understand and cope with life events and issues that get in the way of reaching an optimal level of mental HEALH and wellness. Psychological assessments are available for children, youth and adults. Most assessments integrate your cognitive, academic and social-emotional functioning. Assessments include psycho-diagnostic interviewing, a developmental history, the administration and psychometric measures (tests and questionnaires; note these may also be provided to collaterals when appropriate) scoring and interpretation, generation of a formal report and feedback to the client/family. The focus of the assessment is dictated by a combination of referral question and preliminary findings. Psycho-educational assessments focus on understanding your own or your child's learning needs. Results can help illuminate areas that may require additional support within or external to learning settings. The report will include recommendations as to how to proceed post assessment, whether that be with a custom treatment program and/or involving external systems to help provide support. Psychological/Post Traumatic Stress Disorder (PTSD) assessments are tailored to meet the needs of Veteran’s Affairs clients/caseworkers. They are also appropriate for para-military service members (e.g. police/paramedics/firefighters.) These assessments tend to focus on level of functioning prior to service, at the time of service and if relevant post-service. The goal of these assessments are to understand the impact of service on the individual and to assist in the development of a comprehensive plan that supports the individual in returning to their optimal level of functioning. At times this may involve further treatment address issues identified by the assessment. I also provide a series of workshops and public talks that can be tailored to you, your agency or your company’s specific needs.